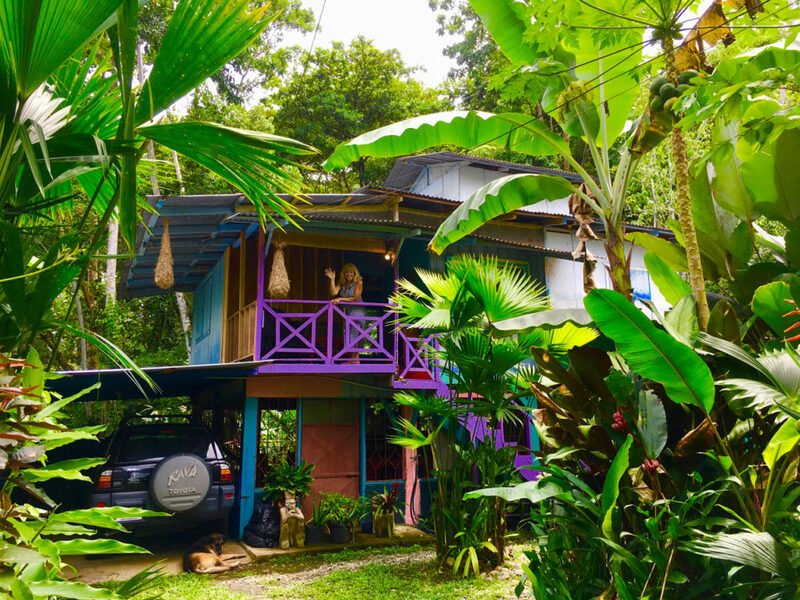 Authentic Caribbean style Guest House - 1 minute walk to the beach and 5 minute walk into town, yet tucked away in the jungle. 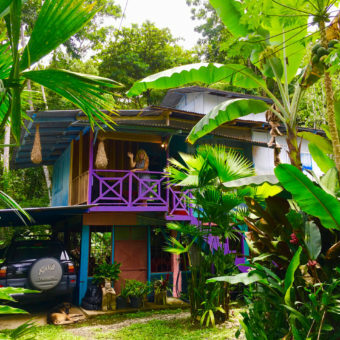 Hidden Jungle Beach House is a typical Caribbean style wooden house with three levels. The fully equipped kitchen is on the first floor. It is spacious and open, with jungle all around. The grocery store is only a short jaunt away so you can buy what you need and cook it here. We share use of the kitchen and bathrooms with our guests. The bathroom with the shower in on the first floor. The bedrooms are on the second. And the third floor is our Tree Top room with windows on all four walls looking out into the jungle!